VINYL ON VINYL: Madhouse at the Vinyl on Vinyl booth this weekend! Madhouse at the Vinyl on Vinyl booth this weekend! Can't get enough of Kid Ninja? 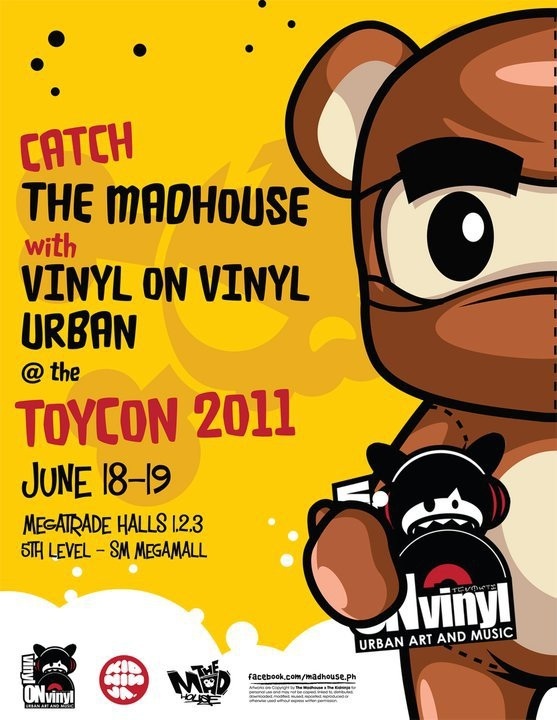 Check out Madhouse's latest designs at the Vinyl on Vinyl booth this weekend at the ToyCon!